I tried making lettuce wraps with romaine. Worked great! The bigger leaves worked best. 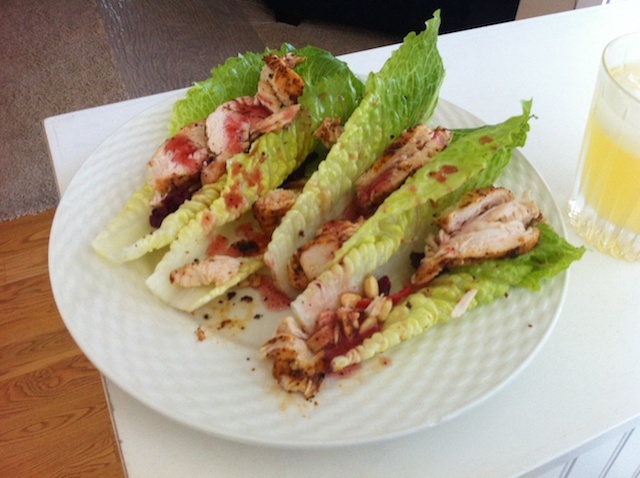 In the photo, I had some grilled chicken, crasins, pine nuts and raspberry vinaigrette. It’s a salad-salad wrap.